Increase student learning with engaging lesson plans and high-level tasks. In this user-friendly guide, mathematics teachers will discover more than 40 strategies for ensuring students learn critical reasoning skills and retain understanding. 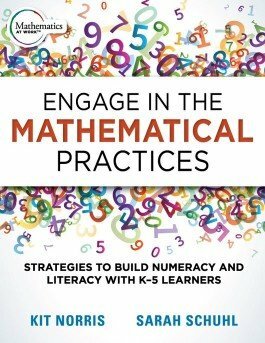 Each chapter is devoted to a different Standard for Mathematical Practice and offers an in-depth look at why the standard is important for students understanding of mathematics. Gain examples of high-level tasks and lesson design templates that promote the Standards for Mathematical Practice. Discover targeted strategies you can use to help students meet the standards. Explore research that supports the importance of the standards and strategies. Consider real-life experiences that illustrate the tools and strategies at work. Access reproducible task guides, task sources, and planning tools.